For a place once known as Stumptown, Portland, OR sure has come a long way. Trees now line its streets and sidewalks, decorate its parks and yards, and give the entire area a sense of warmth and belonging. However, from time to time, these very trees need to be trimmed, pruned, cared for and occasionally removed. And that’s when the good people of Portland call on Urban Forest Pros to help them with their emergency tree removal, their tree pruning, or any other tree service situation. Our certified arborists (plural, not just one for marketing purposes) are on call day or night to help you with any tree emergency you might have. And if it’s not an emergency, then we’re just as available. Below are a few of the services we offer to the great people of Portland and the surrounding areas, but there are many more. When the time comes to remove a tree, make sure the work is performed by trained, licensed professionals. 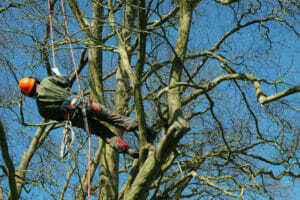 Arborists are able to determine the extent and scope of the situation and recommend the best course of action. While tree removal may be the best course, there are other options as well. Regardless of the path that is chosen, having a trained crew perform the work is going to wind up with better results. Despite the DIY ethos in Oregon, there are multiple factors involved in professional tree removal. Every year people are killed by mistakes made when attempting to remove a tree that is beyond their capability. The problem is, they never realized it was beyond their capability. Here’s the good news – Urban Forest Professionals offer free estimates. Calling us at 503-226-7143 gets the ball rolling, day or night. If it’s an emergency, dial “9” after calling that number and we’ll get you sorted out. If it’s not, one of our representatives will be on the line shortly to discuss your needs and schedule a convenient time. Those are some of the main reasons, but definitely not all. 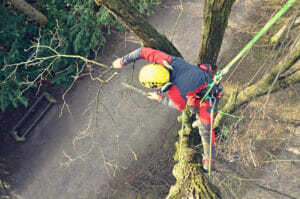 The certified arborists at Urban Forest Pros are well-versed in the variety of methods and reasons for pruning a tree. Once your free estimate is scheduled, our team will arrive on site and discuss with you what it is you’re looking to achieve. We will investigate the situation, taking a look at the tree, the area, and take into consideration a wide range of factors. There are several was that pruning can progress. Sometimes a full pruning is required, sometimes it’s just heavy thinning. 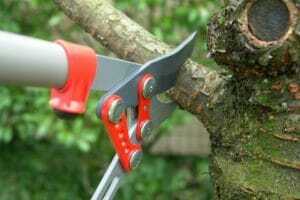 Other situations, a customer is looking for a formal pruning to achieve a particular look for landscaping purposes. Even if a tree suffered damage at the hands of a previous inexperienced tree service worker, there’s always the chance that it can be saved. 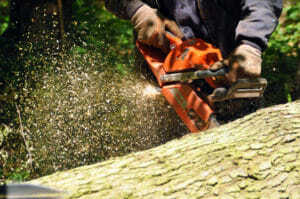 Contacting a professional tree service company that knows the ins and outs of the Portland area is a good first step. Our number is 503-226-7143 and we are eager to assist you in your Portland tree pruning needs. Despite the natural instinct of a homeowner to be the sole determiner of what happens on their own land, cities in the Portland area generally have rules regarding the removal and planting of trees. If you want to remove a tree, even if it’s a result of storm damage, even if the tree is blown down and resting on the ground, you’re going to need a tree removal permit. They’re easy to get, they do not cost an arm and a leg, but the fines that can be incurred in the Portland metro area without one can be shocking. How much? Up to $20,000 in some places. Crazy, we know, but it’s for a good reason. Without the permit system, people, developers and corporations would be able to cut down trees indiscriminately. If that happens, we could be well on our way back to the Stumptown moniker we so richly earned 170 years ago. Urban Forest Pros can help you with the process of getting the required Portland tree permits. However, you need to request this from us at the beginning of the process. If you do not request it, we presume that you do not need us to help you get one. Which means we believe you already have the necessary permits. Again – if you do not have them, you are running the risks of hefty fines. For more information, call us today at 503-226-7143 and see how we can help you with your situation. Alternatively, feel free to take a look at the Portland city tree permit website for their information. It doesn’t take much for a tree to become a hazard. A limb leaning too far over a public-access area, maybe a heavy branch hanging too far over a structure. An unknown disease can turn a once-healthy tree into something that needs to be pruned radically. There are any number of reasons why but the most important thing to remember – getting it taken care of sooner rather than later is key. And why take care of it now? Because if the tree branch, limb or even the entire tree falls over, then you as the owner of the property where the tree resides could be held liable, both financially and criminally if anything were to happen. Yes, a tree blowing over in a windstorm may be considered an act of God, however, if that same tree was a hazard and was identified as such, then the responsibility could fall on you. A phone call to Urban Forest Pros is all it takes to start the process. 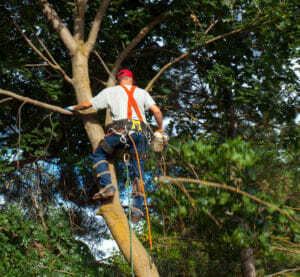 Best case, our certified arborist comes out for your free estimate and lets you know there is no problem. Worst case – the hazard needs to be corrected and we can schedule the work for you. Either way, you’re protected and you can sleep easier at night. Tree hazard correction in Portland doesn’t have to be stressful. Simply call us up and get it taken care of. Tree cabling isn’t just a Portland, Oregon thing – it’s a common method employed when either the tree limbs or branches need a little extra support. It is used when the removal of limbs could create additional problems or when such removal isn’t desired by the homeowner. It can also be used to limit damage to tree limbs from storms or prevent limb failure. While it isn’t exceedingly common, tree cabling is simply another tool in the belt of the arborists here at Urban Forest Pros. By calling to schedule a free estimate, you’ll be able to discover all the options open to you. Each tree in Portland is unique, as is each person’s situation. Setting up an appointment with one of our certified arborists is the best way to get the right plan for your situation. As you can see, there are a wide variety of Portland tree services available. From organic pest control to view enhancements to height reduction pruning to tree planting, deep root fertilization, stump grinding and much more, we are one of the premier tree service companies serving the Portland area today. Please call us today at 503-226-7143 to schedule your free estimate.